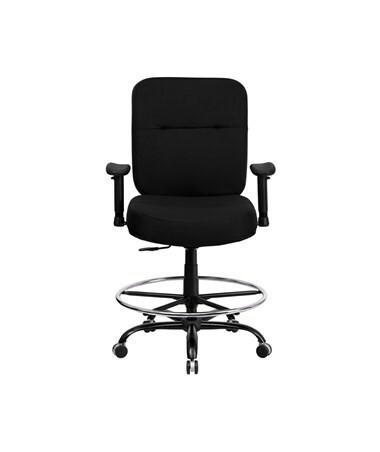 The Flash Furniture Hercules Leather Drafting Chair WL-735SYG-BK-LEA-D-GG has black LeatherSoft upholstery that is durable and easy to clean, with a supple, luxurious feel. 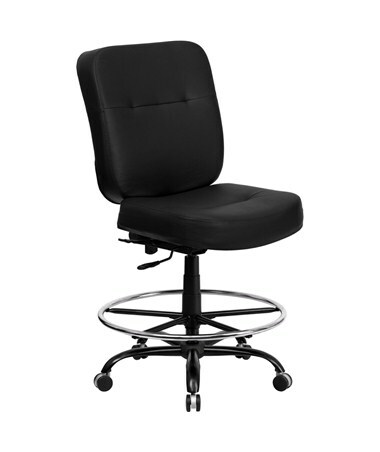 This heavy duty drafting chair caters to your comfort with deep 5 inch padding on the seat and back. A variety of adjustment features make it easy to get a custom-fit seat. 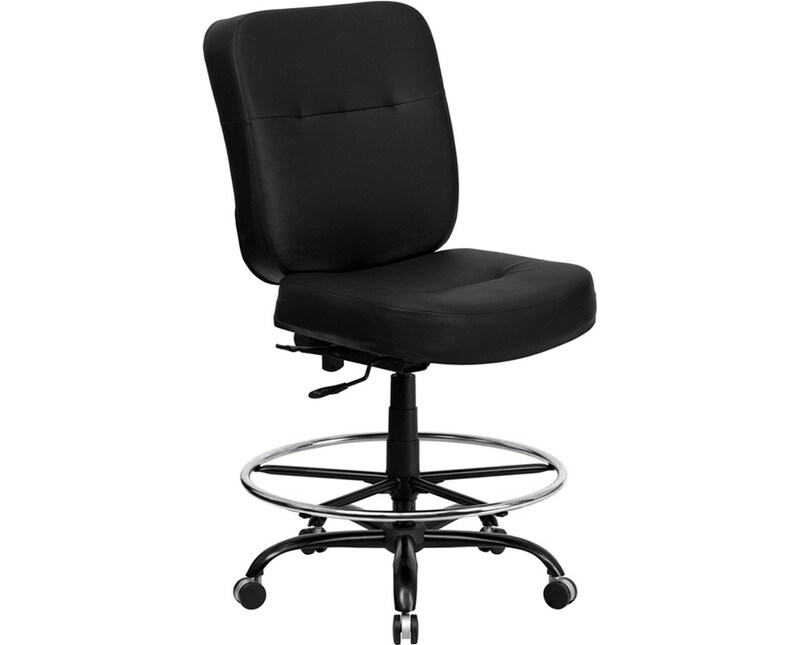 The back rest is height adjustable over a 3 inch range and can be locked in your favorite tilt position. 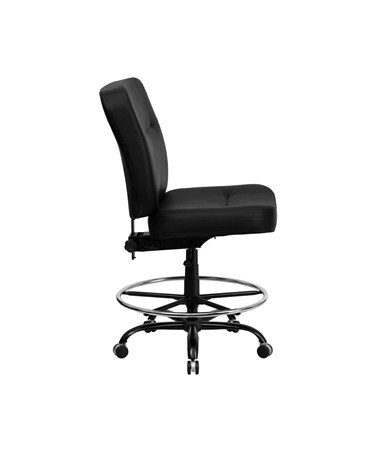 The swivel seat is height adjustable from 24 to 29 inches, and features a swivel control mechanism that allows you to adjust the seat independently of the back rest. This sturdy big and tall drafting chair has a weight capacity of 400 pounds, with a heavy duty metal base and extra large height adjustable chrome foot ring. The back rest is 21 inches wide and 24 inches tall, while the seat is 21 inches long and 21 inches wide. Assembly is required. 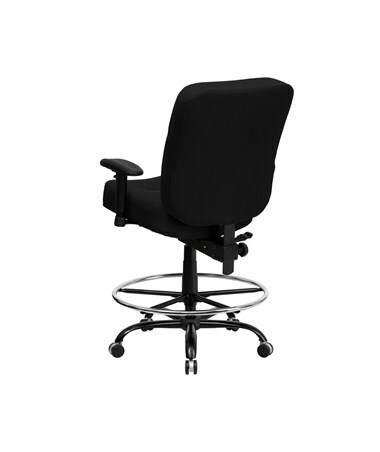 Adjustable Seat swiveling, adjustable height 24"- 29"